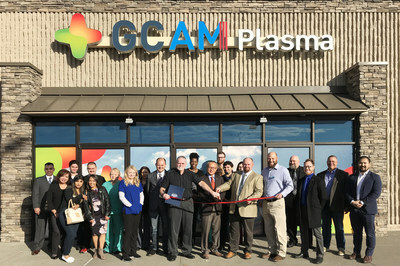 YONGIN, South Korea, Nov. 9, 2018 /PRNewswire/ — GCAM, Inc., a U.S. based plasma collection company, announced that it has added two additional plasma collection centers; one located in Indianapolis, Indiana, and another in Pasco, Washington. With the two newest additions, GCAM now runs 10 plasma donation centers nationwide. This release includes forward-looking statements, which express the current beliefs and expectations of GCAM’s management. Such statements speak only as of the date on which they are made and the Company undertakes no obligation to update or revise any forward-looking statement, whether as a result of new information, future events or otherwise.